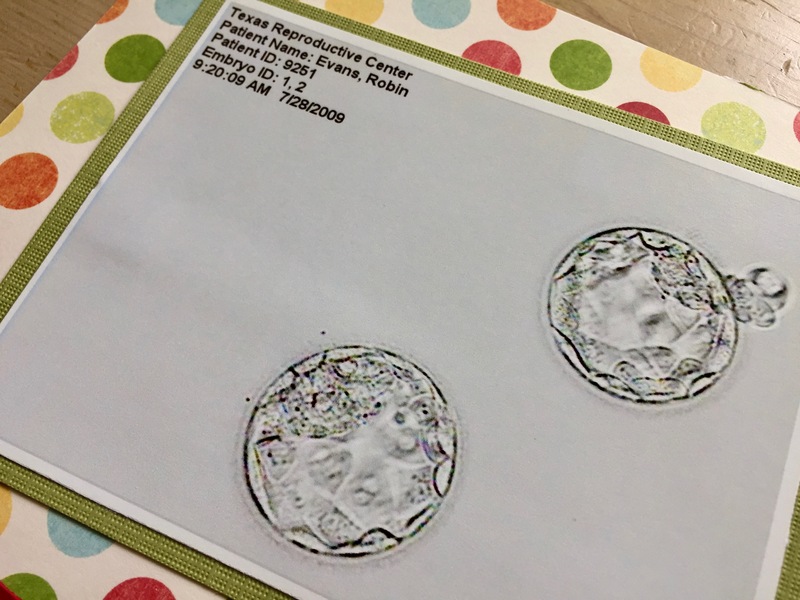 Eight years ago, our first full attempt at IVF failed. Four precious, much loved, immensely prayed for embabies created, two of them delicately transferred into my uterus three days later. Neither of them implanted, however, leaving us not pregnant for the 4 millionth month in a row. We tried again, starting in June of that year. That attempt gave us six more embabies and one sweet, sassy, stubborn little girl. Ten embabies lost and one miracle baby in my arms. The truth? I still grieve the loss of those ten babies. And I have come to accept I always will. This week is Resolve’s National Infertility Awareness Week. Statistically, one in eight couples struggles with infertility. To break that down in real life terms, someone in your small group, sitting next to you in the conference room, at the table across from you at dinner, and down the street in your neighborhood has faced, is facing, or will face difficulty in growing their family. One of the most important things you need to know about infertility is this: There is a whole lot of grieving going on. We blame ourselves, what we did, what we didn’t do, what we ate, and what we didn’t eat. Did we stand too long? Lay down too much? Should we have eaten the takeout or made a salad instead? So even though we’ve read the research, we know the truth, there is nothing we could have done to make a pregnancy more or less likely, that is what grief looks like following a failed IVF attempt. And, we likely do it in lonely silence. Do you have a friend walking through the grief, silence, and loneliness of infertility? Do you struggle with knowing how to offer comfort when their latest attempt fails? When they are not pregnant again? As someone who walked this road, let me offer some guidance. Listen, we realize you don’t know what to say or what not to say or how to act or how not to act. We do. Honestly. Truthfully? We don’t know any of that either. Every attempt is different, nothing is ever the same twice and that includes the grieving process. But it hurts far worse when you pull away. A dear friend, a super fertile friend at that, said to me, “I have no idea what to say but I can listen.” And y’all? That moment? That offer? Everything. It was everything to me. Hold our hand. Watch really bad movies together. Send a text message and say, “I hate this” or “Thinking of you” or “I’m coming over.” Offer to listen. There is, simply, no replacement for your presence. Was this a medical procedure? 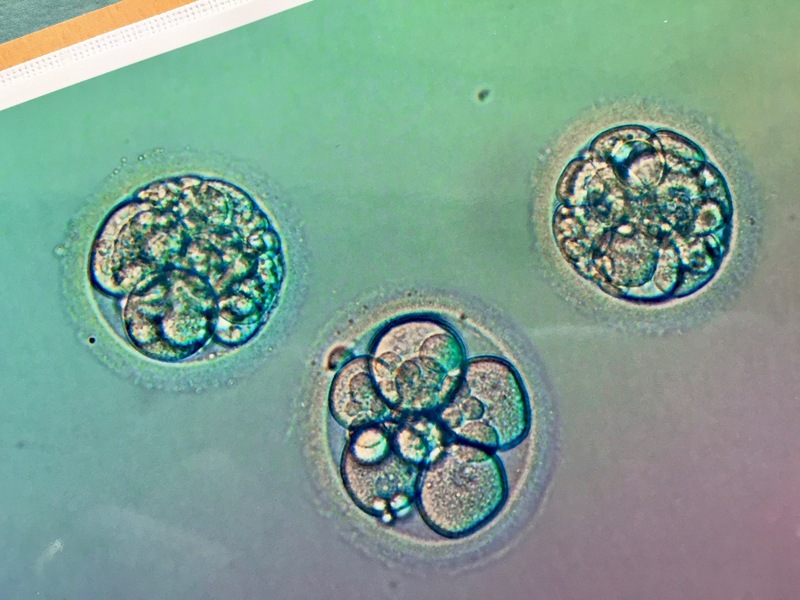 Weren’t the embryos “implanted?” Why not? What the heck is an ICSI? What’s a beta? All of this feels a lot like an out-patient thing. A thing that didn’t work. With shots and anesthesia and scrubs and sterile rooms, it most definitely feels like it should be a procedure. And we know because it stands in stark contrast to how most of the world makes a baby. Candlelight. Marvin Gaye. Maybe on a vacation somewhere tropical and lovely. None of that is involved with how babies are made for us and we’ve grieved that already. But IVF, the process, the procedures, the terminology, it belongs to us and it as much a part of our life as water. Ask us. Let us walk you through it. Our last attempt, we were the only transfer that day. Even in my valium induced bliss, without glasses or contacts, I remember seeing all the doctors and nurses lined up watching us and smiling as we walked into the transfer room. It was like we were coming out of the tunnel onto the football field and they were our cheerleaders and marching band and maybe even a mascot.Cheering, dancing, playing our fight song! It was glorious. That, that moment of exclusivity, when all of the squad was focused on us? That made the moment intimate and sacred for us. It felt victorious. We only need someone to ask us. Be that someone. Ask questions. Okay, I recognize this is entirely Southern and maybe smacks of Baptist potlucks but, y’all, we need food. Just like anyone grieving the loss of a loved one, we are deep in the middle of being almost entirely unable to function. But, because we lost embryos and were never pregnant, we’re not sure we have earned the right to grieve. Almost as if our loss is not worthy of understanding. Offer to bring over a meal and give your friend some much-needed validation that this grief they feel, it’s real and true and you see them. Tell them, yes, you have every right to grieve this. Just like you would see any other grieving friend. A word of warning, though. Plenty of infertiles will attempt to just carry on. Why bother to try? They dive HARD back into real life and burying their feelings. But you can’t bury a feeling and expect it to die. Instead, it thrives. That feeling grows and grows, turning into bitterness and anger. Don’t let your friend bury a living thing. They need you to be persistent and loving and patient here, because, really, even if they can’t admit it, they need to be cared for. Be that care. Someday, they might even open up and let their feelings show. Lots of honest gets shared over a table of food. Be at that table. Feed them. I promise you, your friend knows what would have been her due date. Really, Y’all. She absolutely does. Pay attention to the details. You know the day of the negative pregnancy test or you know the day of the retrieval or the day of the transfer. A quick google search can give you a due date with that information. And y’all, honestly, if you asked her, she would probably tell you. Then you grab that little hand-held computer you stare at five million times a day and put that date on your calendar. Nine months from now, she will be hurting. Your friend will be anticipating it and dreading it. Be intentional about walking through those days with her. Holding my children on this earth in no way takes the place of missing my children in heaven. My ten embabies made me a mother before Saffron entered the world. And I will always feel their loss. But nothing, nothing, compares to the grief I suffered in the days and weeks and months immediately following our loss during IVF. Go now, friend. Reach out. Be present. Ask questions. Feed her. Walk beside your infertile friends. They need you to grieve well with them.